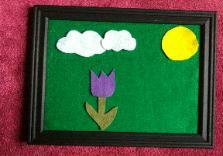 Here is a simple recycled project using an old picture frame to make a new felt board or white board. 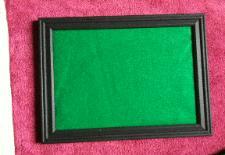 For the felt board, take the glass out of the picture frame. 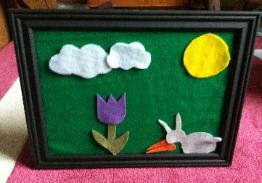 Lay the cardboard from the frame on some felt. 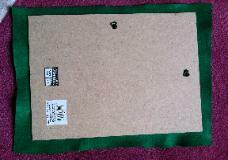 Cut a piece of felt at least 1″ larger on all sides than the cardboard. Just place the cardboard back in the frame. Your felt board is ready to go. Cut out some shapes and create stories. 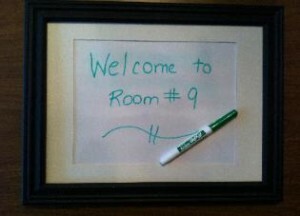 For the white board I just put a laminated white piece of cardstock in the picture frame. 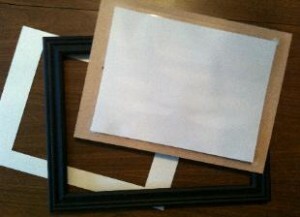 If you don’t have a laminator, you could use put white paper over the cardboard and place contact paper over it. Just take off the felt, put the laminated sheet in instead, put the frame back together and your white board is ready to use. Practice your handwriting, visual motor skills or play pretend school.